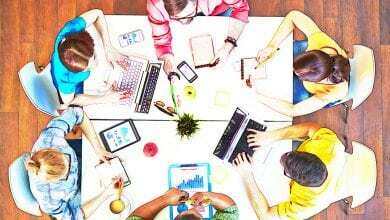 What's So Great About deFacto Planning 4.0? | deFacto Global Inc.
deFacto has released the latest version of deFacto Planning, Version 4.0, which adds a number of significant new features and capabilities, including web and mobile interfaces, enhanced analytical and predictive features, higher scalability, and the ability to deploy a cloud-ready SaaS version from the Azure Marketplace. Why is deFacto a leap ahead? As Gartner reported, financial planners have been dealing with aging systems and struggling to make progress with BI and analytics. deFacto Planning gives CFOs and line-of-business managers the powerful and user-friendly tools they need at a time when financial and operational planning have assumed increasing strategic importance. The older-generation solutions could not handle the swelling volumes of information that created the Big Data problems companies are wrestling with today. They also could not easily collect and operate on disparate types of data from multiple sources throughout an organization. Customers experienced sluggish performance, cumbersome operation, error-prone processes, and limited analytical capability from installed systems from SAP, IBM, Oracle, and other vendors. Because of performance limitations, customers could not create models of their business to perform predictive analytics, real-time analytics, and other operations necessary to make the best decisions. The older-generation tools also were complex and difficult for business managers to use, which necessitated the involvement of technology specialists and data scientists. At the heart of the problem was the design of the older generation of tools. 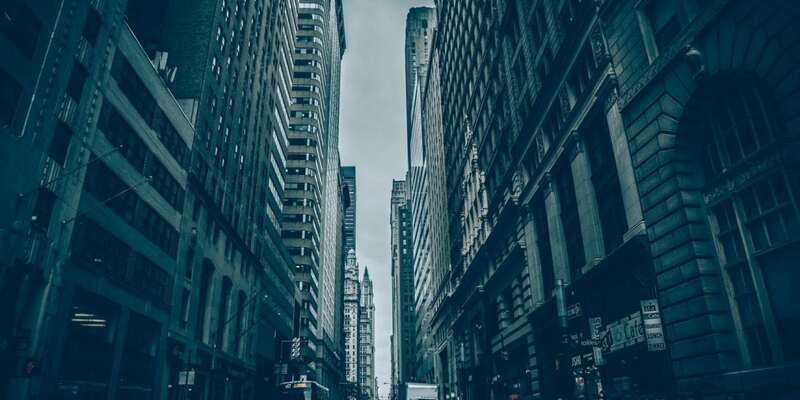 Most of the older solutions started as point solutions that performed individual processes like budgeting, forecasting, or reporting, then connected these functions in some rudimentary fashion. As technology evolved and corporate planning products matured, it became apparent that the best approach was to have all functions integrated and built around a single centralized model. What enabled deFacto to overcome the problems that plagued the older generation of corporate planning systems? deFacto’s design team, drawing on decades of experience, incorporated a number of advanced concepts into the deFacto platform. As 451 Research reports, deFacto is run by “a savvy management team” with experience in designing a wide range of performance management offerings, including those from SAP and Oracle/Hyperion. More complete and effective use of the Microsoft business intelligence stack. OLAP and in-memory computing—enhanced and extended for creating business models. User-friendly interface that business managers could use without specialized technical skills. deFacto was designed from the ground up as a single product that contains all the capabilities of point solutions and more. The single-product approach is the key to deFacto’s ability to scale far beyond traditional uses of traditional corporate planning products. The single-product approach offers major advantages in system security, data integrity, scalability, performance, usability, and cost. 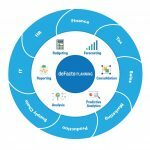 Just as computer modeling and simulation have been used to solve many challenging problems in engineering and science, deFacto has harnessed and packaged this same capability to enable business managers to address the most challenging forecasting and planning problems. deFacto’s model-centric system consolidates all relevant data from across an organization into a model that intrinsically represents the business. The centralized model enables managers to analyze decisions, create plans, and achieve the best possible business outcomes based on all influencing factors, using what-if analysis, budgeting, and forecasting, as well as BI. While many vendors take advantage of Microsoft’s business intelligence (BI) technology stack, not all of them use the same components (SQL Server, Analysis Service), nor use them in the same way. 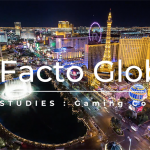 deFacto’s architecture takes a more comprehensive and innovative approach in the way it utilizes Microsoft’s BI technology. This gives deFacto the unique ability to construct centralized models and incorporate programmable business rules and logic that add an extra layer of business and financial intelligence to the models. deFacto also uses advanced technologies like OLAP (online analytical processing) and in-memory computing to achieve higher levels of performance. Again, the system utilizes these technologies in innovative ways, extending and enhancing their capabilities. This gives deFacto the unique ability to create a comprehensive and accurate model of a business, which enables business managers to perform analyses and planning at a level not previously possible. Another guiding principle of deFacto’s design has been ease-of-use to enable managers of every stripe across an organization to gain the benefits of powerful planning. 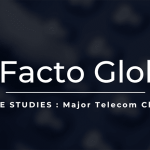 deFacto’s design eliminates the need for specialized technologists and data scientists so that any business manager can tap into the centralized model to perform analyses for his or her business unit—finance, operations, procurement, HR, etc. Many of the enhancements of deFacto 4.0 are interface and usability enhancements, such as new web and mobile interfaces, to increase ease of use and efficiency and to make it easy for business managers to perform financial analytics on any device. There are performance and integration benefits that are derived from being uniform in core technology and design. deFacto Planning passes these benefit onto customers by being the only enterprise-quality system based 100% on Microsoft technology. As a pure Microsoft foundation, deFacto offers easy integration with the entire Microsoft family of products, including Office, SharePoint, Power BI, and Azure Services, including Azure Machine Learning (ML) and Azure SQL. Now available as a SaaS offering in the Azure Marketplace, deFacto Planning can integrate natively with all Azure-based offerings to enhance and extend deFacto’s analysis and performance capabilities. The combination of Azure Machine Learning with deFacto Business Modeler on Azure brings easier, lower-cost predictive analytics to a wider audience. The latest release puts even greater distance between deFacto and the older generation of corporate planning solutions that have been limited in their modeling, scaling, performance, and predictive analytical capabilities. The leap ahead in design and power of deFacto Planning is what led TEC Research to call deFacto “a player redefining the EPM market and promoting a new era of enterprise performance management.” Created by an experienced team, said TEC, deFacto has drawn on its expertise to provide an EPM solution for the future. The deFacto EPM offering, said TEC, is a “must view” solution.